Catching up on all the sightings that fellow Seibertronians have been sending the staff (make sure to flag them up in the Sightings section and forums too! ), here's a later Age of Extinction one: Nikko Radio Controlled Bumblebee and Optimus Prime. Sightings come from Target stores in Michigan, via xRotorstormx, and Illinois, via reluctantyouth [and via myself in the UK, Toys'R'Us] prices at $49.99 each, require additional batteries and transform at the touch of a button - photo proof below! Thanks for the included news credit on these...thought I posted it a couple of weeks ago. The two at my Target have not budged in 3 weeks. The Transformer section is looking very poor too. No Generations of any kind...what happened to Target ?!? I use to be able to count on them quite a bit. reluctantyouth wrote: Thanks for the included news credit on these...thought I posted it a couple of weeks ago. The two at my Target have not budged in 3 weeks. The Transformer section is looking very poor too. No Generations of any kind...what happened to Target ?!? I use to be able to count on them quite a bit. You did, but we got a buttload of emails and had to work through them in order of ugency. Target has only been around in my area for about a year so I can understand the poor distribution but it still stands that they are by far the least dependable for anything transformers related. Their generations line is still at HOIST!!!!!!!!!!!!!!! 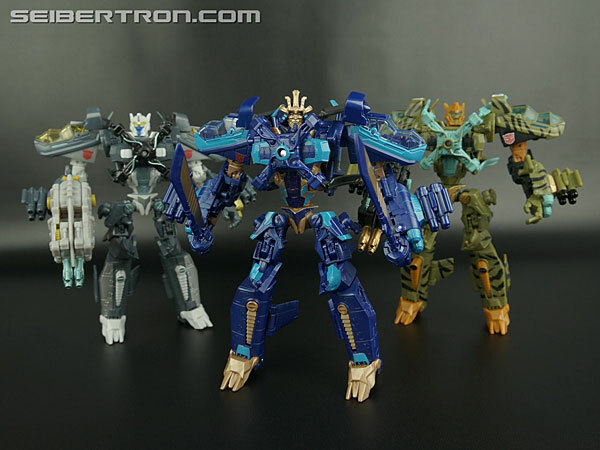 These would be cool to get, if they didn't look like gigantic electronic Bot-Shots. I knida missed the news on these guy,so I wanted to know if they can make turns for both sides this time.Can somebody answer? Anyone out there any closer to knowing the date(s) the AOE platinum sets will be released? 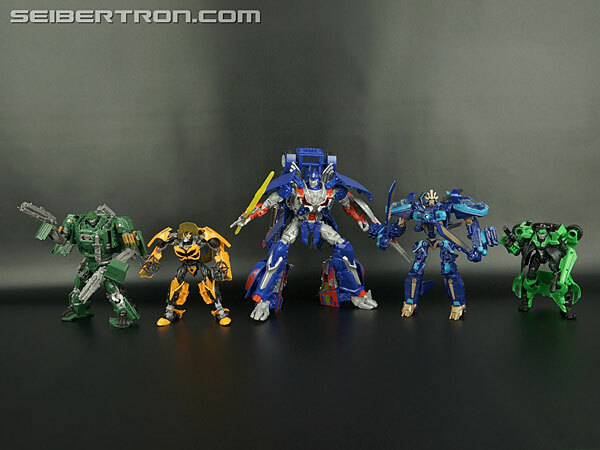 TransformersFan89 wrote: Anyone out there any closer to knowing the date(s) the AOE platinum sets will be released? Some already have been released, i.e. 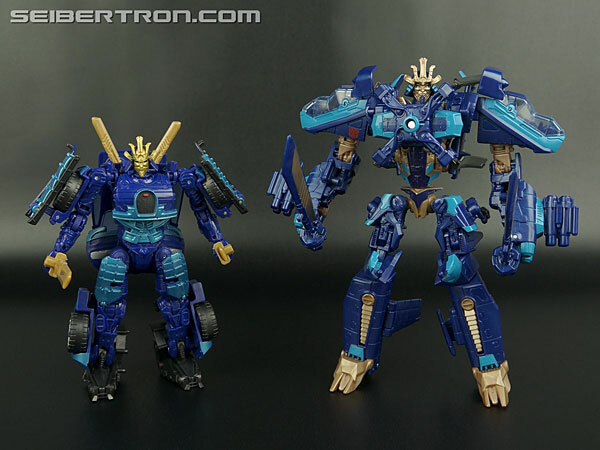 the Kmart exclusive Voyager Prime & Grimlock 2-pack. 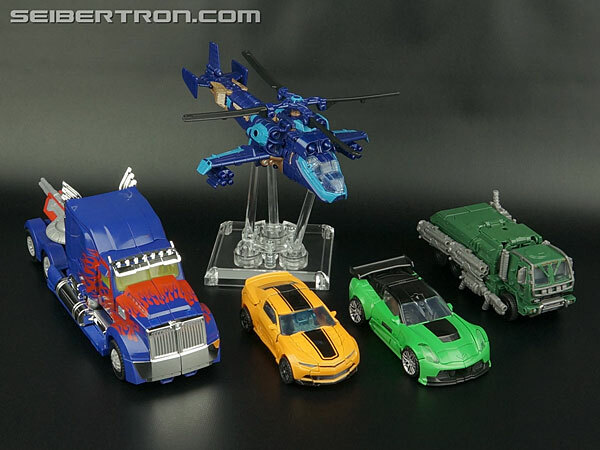 No I think he means the Leader Class and the Autobot 5-pack platinum sets. I might be wrong, but I believe that they'll be released in September or October. Do we know the exclusivity of these platinum sets? Like who will be distributing them? Will it all be KMart? I don't know about anyone body else, but I'm not much into the movie line, however I have to say these two rock with the chrome! For Prime I get the G1 feel with the chrome and the face plate makes him look a hell of a lot better! I hate the open face look. Prime's gun should either be chrome or black, preferably black, not that cheap grey material. Grimlock looks like a badass with the chrome highlighted parts and the painted black face really does it for me and make Grimlock stand out, more a demon/samurai warrior than a dinobot, but I'll take it. I just feel with the chrome and extra paint here and there, really makes these two stand out compared to their counter-parts that's sold individually. 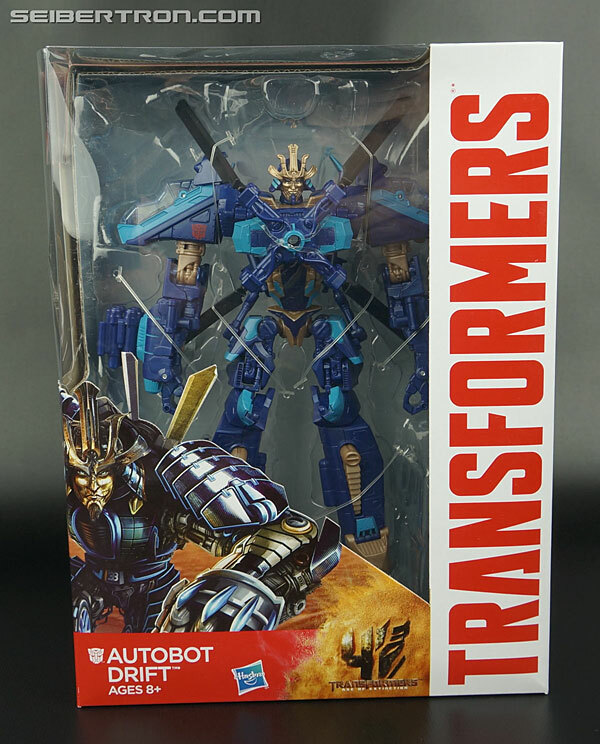 Toys R US Canada has the Leader Class Grimlock and Optimus Prime Platinum Edition set up for Pre Order! Toys R US Canada has the Dinobots Unleashed set up for Pre Order! Toys R US Canada has the Breakaway Battle set up for Pre Order! Toys R US Canada has the Optimus Prime Leader Class w/ Trailer and Sideswipe set up for Pre Order! 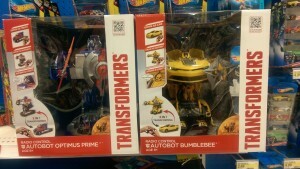 Toys R US Canada has the Autobots United set up for Pre Order! OptimalOptimus2 - yes those sets as well as the breakout battle set. And thanks! WilliamJames88 - I thought I heard somewhere that they would be Toys R Us exclusives. This set arrived last week from RK. Joints on the Classics version feel loosish/soft (but not too bad) - I think it's due to the plastic quality, my KO Ultra Magnus feels like it's made of better plastic. Having said that the paint apps are top grade, doesn't feel like it's going to fall apart, and will be mostly for display. 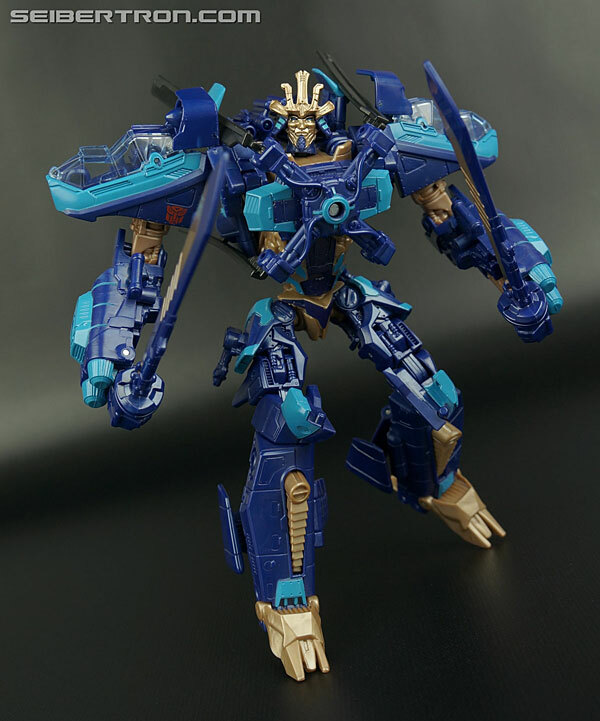 Age of Extinction Generations Voyager Class Drift! 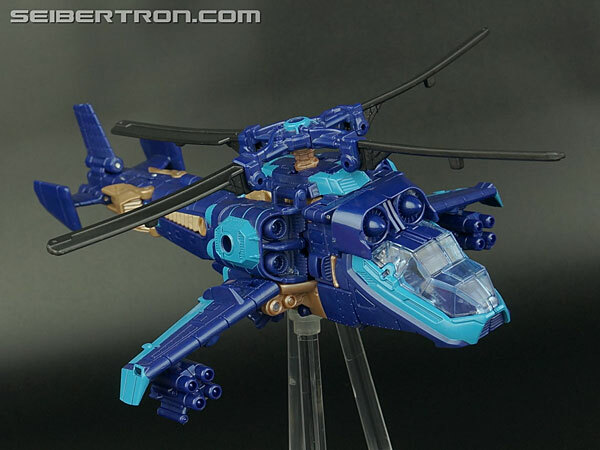 The figure is based off of the DOTM Skyhammer mold, but sports a blue and gold colorscheme, new weapons and a new head to bring you Drift in his third mode, a helicopter. 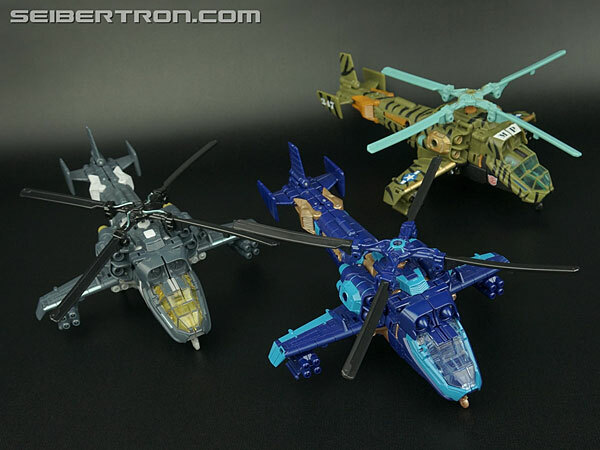 The helicopter mode (and transformation to and from) were shown very briefly in this summer's TF film, Age Of Extinction. 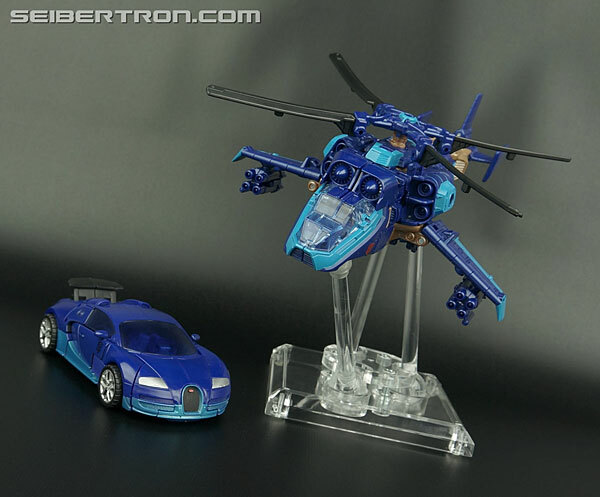 Considering the difficulties of taking a Bugatti Veyron and turning it into a robot AND a helicopter, a reuse of the Skyhammer mold was the next best possible plan. 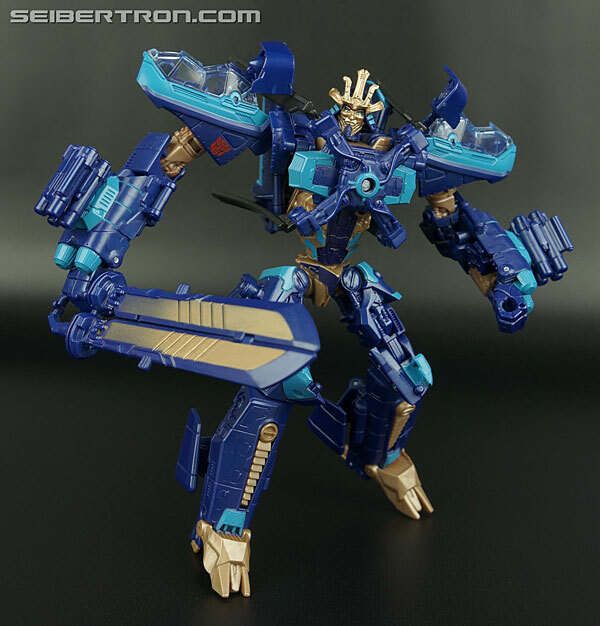 Drift is partnered in the newest (and seemingly final) Voyager wave with Dinobot Slog. 4,746 pages were recently viewed by 1,062 unique visitors. This page was viewed 1 times on Sunday, April 21st 2019 11:29am CDT. © 2019 Seibertron, Inc. DBA Seibertron.com. All Rights Reserved. Established June 2000. Seibertron.com is owned by Ryan Yzquierdo.